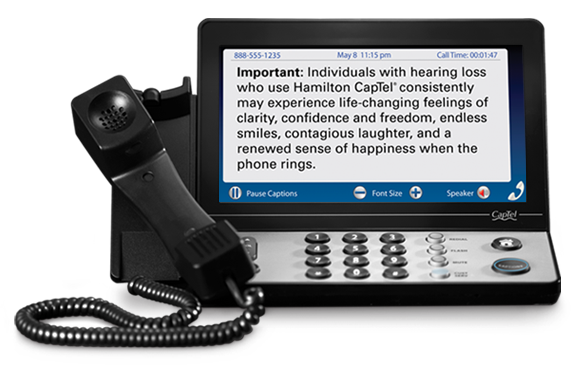 If you’ve seen captions on TV, then you already have an understanding of what Hamilton® CapTel® (captioned telephone) is all about. Simply pick up a Hamilton CapTel phone and you can listen and read word-for-word captions of everything said to you on the phone. It’s simple and all that is required is a Hamilton CapTel phone, a telephone line and a high-speed Internet connection.1 The captioned telephone service is free and available 24/7. The Hamilton CapTel 840i is right for me! The Hamilton CapTel 2400i is right for me! 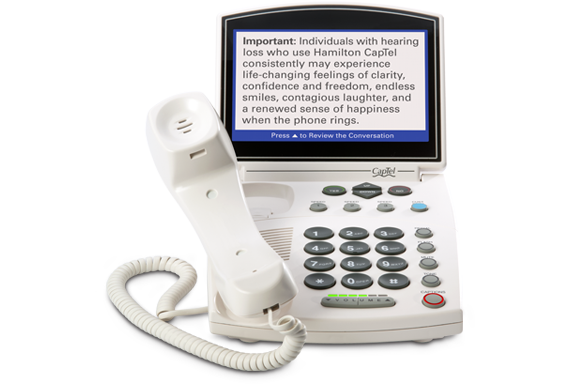 1The Hamilton CapTel phone requires telephone service and high-speed Internet access. Wi-Fi capable. 2Internet Protocol Captioned Telephone Service (IP CTS) is regulated and funded by the Federal Communications Commission (FCC) and is designed exclusively for individuals with hearing loss. To learn more, visit www.fcc.gov.